It is easy to see the appeal of road cycling: By covering longer distances compared to walking, you get to see much more, and at the same time you stay active and get to be close to nature. It is equally easy to see what makes Norway a suitable location. The country is famous for its natural splendours, and you have the additional benefit of good quality roads, many of which are refreshingly free from traffic, noise, and pollution. An indication of Norway’s road cycling possibilities is the number of events arranged here every year, notably Tour of Norway in May and the Arctic Race in August. 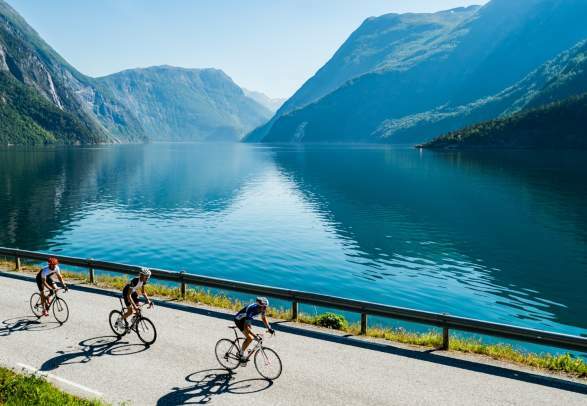 “If I ever fancy an easy paced spot for cycling, then there is no better place to head for than Norway’s Lofoten Islands. Situated above the Arctic Circle, they are surely among the most beautiful places on earth”, says Andrew Straw, director of the tour operator Saddle Skedaddle in the British newspaper The Guardian. Before you hit the road, please note that it’s forbidden to ride your bike in many of Norway’s tunnels. cycletourer.co.uk has a useful map over which Norwegian tunnels you are allowed to cycle through. Challenging mountain roads are waiting all over Norway. Pleasures on a high level are shared by Geir Stian Ulstein, the recognized mountain cycling enthusiast behind the reference guide book Bakker & Berg. Please note that these tips for challenging road cycling mostly involve some transport of bikes by car. The local travel destinations will point out suitable points of departure with parking. Contact them to plan your trip and to make the most out of your road cycling trip. A marvellous tour out of the ordinary in the Stavanger region. Depart from Ørsdalsvatnet to get the most out of the challenging uphill part of the route. There are plenty of good opportunities for dining along the way back to the coastal city of Egersund. Selje municipality in the county of Sogn & Fjordane offers some of Norway’s best short uphill routes, with Vestkapp (the West Cape) on the Fjord Coast as the most remarkable. Fix your eyes at the spherical weather station on the top at the end of the road, which has a panoramic view of the sea. An engineering marvel way up north at the outermost part of Senja, Norway’s second largest island, in the county of Troms. Whether you choose the shortest route uphill or the longer route around Senja, you’ll enjoy twisting roads, waterfalls, and sea views. For a tasty lunch, continue towards Finnsnes og Hamn. 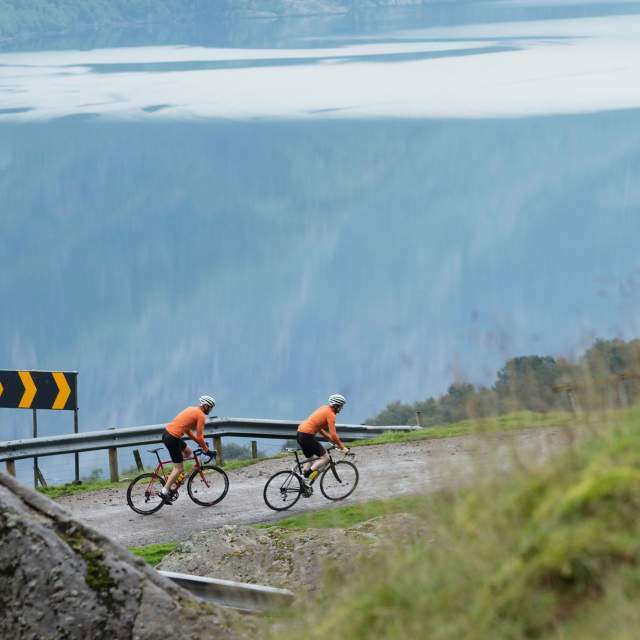 Depart from lake Ørsdalsvatnet to get the most out of the challenging uphill part of the route. An engineering marvel way up north at the outermost part of Senja. 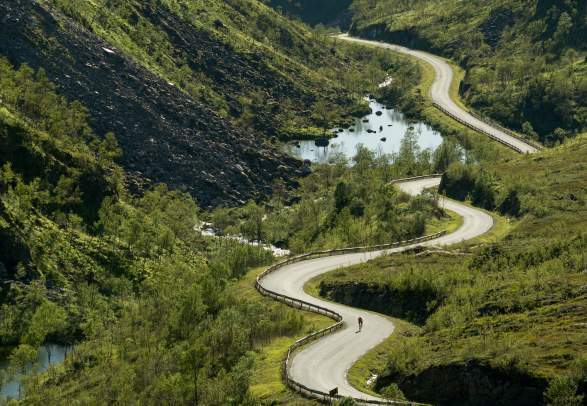 The great Norwegian cyclist’s preferred rides all over Norway that feature what he loves the most: untouched nature.